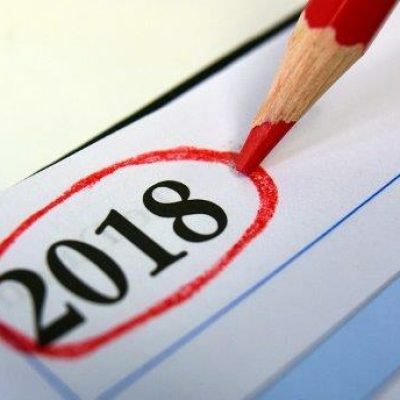 As we begin another calendar year, wondering where the time has gone and astonished that it is 2018, we are surrounded by goal setting and resolution making. Pausing to set goals or to make resolutions at the beginning of another year can be a helpful practice when it is empowering. We can take time to write down what we want to accomplish, but perhaps we could focus less on resolutions and more on reflections. Since our faith was called “the Way” in the book of Acts, referring to the ways of Jesus, we can reflect on the journey behind us and the journey in front of us. We can focus less on accomplishments, which have a deadline, and more on the journey, which is ongoing. In this shift, we find less disappointment, knowing that we always have another chance to begin again. We can keep growing and learning along the way, retaining the desire to learn from the past as we take the next step into tomorrow. 1. What is something we could start doing? 2. What is something we could stop doing? 3. What is something we could emphasize? 4. What is something we could ignore? These questions can lead us in various directions. They prompt us to reflect on the journey of faith in a given moment. In reflecting on them, we can lean into this new year with purpose and grace, knowing that the journey continues. For the church, we can lean into this year together, for we reflect on the ways of Jesus collectively. It leads us to build community inside the church and to serve community around the church. We can do this in many ways. We might decide to learn people’s names in the church we have not known before. We could listen more closely to the prayer concerns or write notes to those on the prayer list. We might look for ways to extend the gift of invitation to others who need a place for community in their lives. We could find ways to serve others by cooking for Loaves and Fishes or teaching at Conversational English. Our options are expansive and varied. Through our reflections, we can find ways to participate in the ways of Jesus. We can lean into the journey of faith, allowing “the Way” to shape the ways of our lives. Originally from Augusta, Georgia, Tripp Martin earned a degree in Business Administration from the University of Georgia, a Master of Divinity degree from Wake Forest University, and a Doctor of Ministry degree from the McAfee School of Theology at Mercer University. Before coming to Auburn First Baptist, Tripp served as Pastor of Vineville Baptist Church in Macon, Georgia.